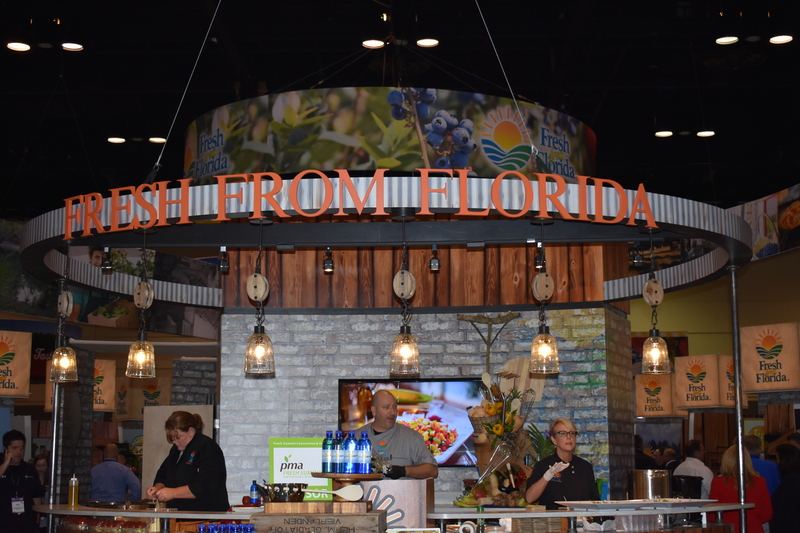 The Fresh From Florida pavilion did an exceptional job representing Florida’s agricultural businesses at the 67th annual Produce Marketing Association’s (PMA) Fresh Summit this past weekend. With a new change in booth layout, the pavilion allowed for unity of the Florida companies on the expo show floor. 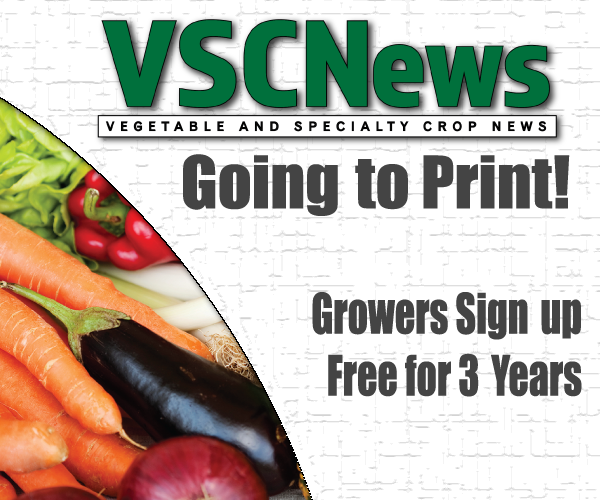 It was pretty easy to spot the Florida section amidst the 12,000 exhibiting companies at the Fresh Summit. All that one had to do was simply look up and follow the giant “Fresh From Florida” banner that towered over the expo hall. The booths were set up in an oscillating pattern and had a “southern flair” feeling with a wood-paneling theme. On one end of the pavilion, attendees could watch Fresh From Florida chef Justin Timineri glide across a raised kitchen while cooking up delicious hors d’oeuvres for all of the expo guests. On the other end of the pavilion, attendees could make a “pit stop” at the Fresh From Florida racecar corner. On the first day of the expo, guests had a unique opportunity to meet and greet Richard Petty (“The King”), who posed for pictures and signed autographs. 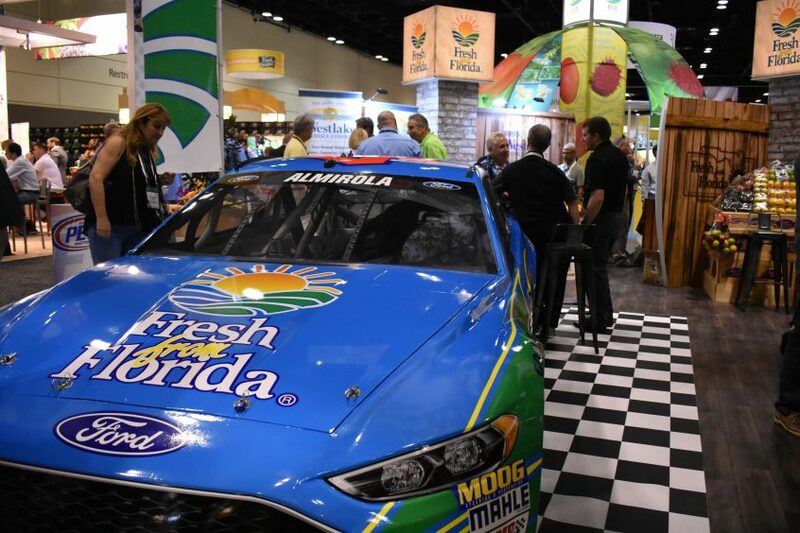 The Richard Petty Motorsports partnership with Fresh From Florida provided guests with a great experience to see the Fresh From Florida racecar up close and personal. Florida Agriculture Commissioner Adam Putnam said that Florida did an excellent job representing itself, especially at being the host state for this PMA convention and expo. Putnam was pleased with the turnout in the Fresh From Florida pavilion and was happy to see that the affordability that Fresh From Florida offered to be featured in the pavilion provided a lot of Florida companies with the opportunity to attend this large expo. Putnam also expressed pleasure at seeing very decent-sized, neighboring booths that have branched out to promote their businesses.